One of the two stand out films in terms of emotional resonance, A Letter to Momo is a heartwarming story of love, loss and friendship all seen through the innocent eyes of 11 year old Momo Miyaura. 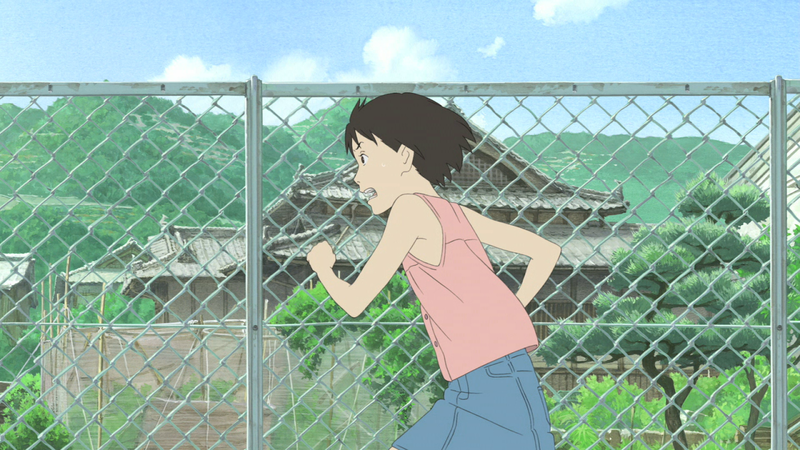 Suffering from the recent loss of her father, Momo and her mother move from the bustling heart of Tokyo to the tiny yet idyllic island of Shio. 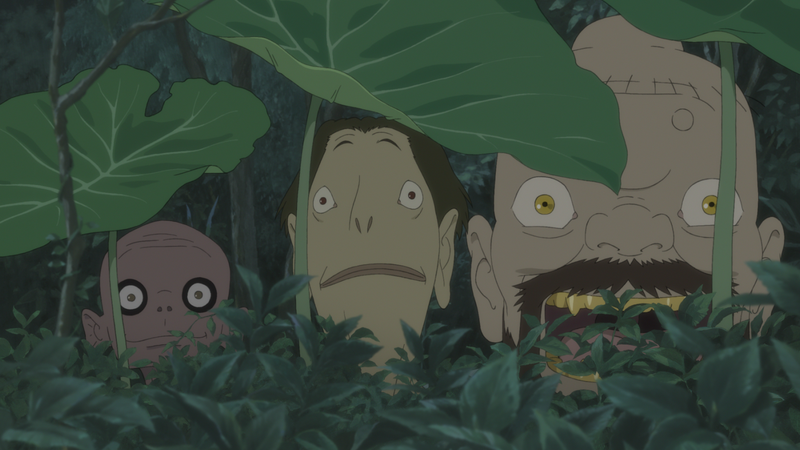 Through a series of inexplicable events, Momo winds up embarking on a journey with Iwa, Kame and Mame, three mischievous yokai. This journey will not only see Momo grow as a young lady but also give her closure of the untimely and heartrending death of her father. This is only the second film directed by Hiroyuki Okiura, the first being 1999's brilliant Jin Roh, however over the years he has been involved in some of the biggest and best releases that anime has to offer including Evangelion 3.0, Ghost in the Shell and the Cowboy Bebop movie. This longtime immersion in the anime industry shines through with the overall film being both highly polished and very aware of pacing. The story unfolds slowly but not excruciatingly so. It allows for each character, Momo particularly, to develop and solidify their place and relevance in the film. It's always amazing and awe-inspiring when an animated film can elicit just as much if not more emotion than a live action movie and this is in no small part thanks to the wonderful voice actors. The voice of Momo is supplied by Karen Miyama. At the tender age of 16 she's racked up a healthy career in Japanese drama series which has no doubt served her well in preparation for this role. 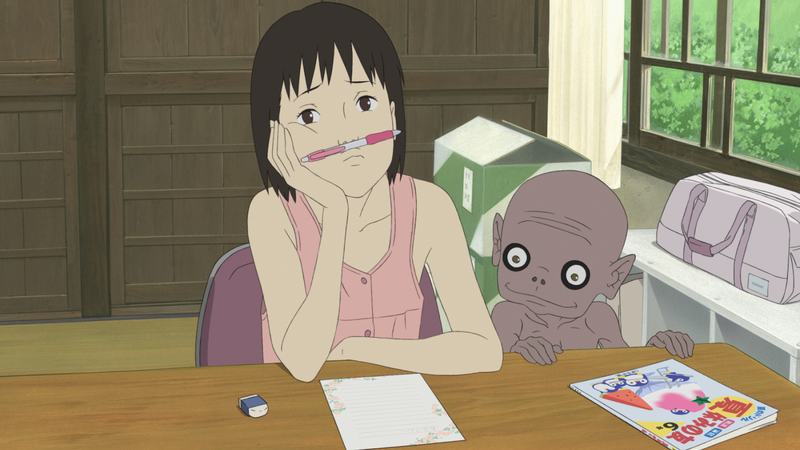 The rather odd and haunting character Mame is voiced by Cho, a character actor who is very well known in Japan for his portrayal of Gollum in the Japanese dub of Lord of the Rings. While nowhere near as threatening or downright frightening as Gollum, Mame does somewhat resemble poor old Smeagol. The true shining star of the film is a man who is very well known to Australian audiences but more so for his face than his voice. Any Australian born before 1990 should be well aware of Monkey, the BBC reincarnation of the 1970's Japanese series, Saiyuki. Toshiyuki Nishida played the role of Pigsy in the series and brings a certain comedic Sengoku style gravitas to the role of Iwa. Generally, when Production I.G. 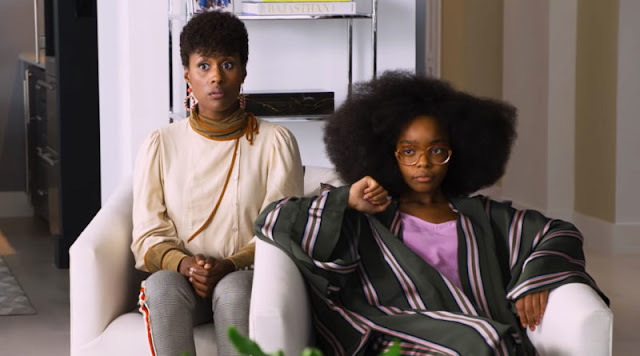 is responsible for a film you can rest assured that it will be a flawlessly realised action adventure akin to FLCL, End of Evangelion or the ubiquitous Ghost in the Shell. However, in this instance we are treated to a more grounded affair with levity invoked only through the inclusion of three yokai, a type of spirit that isn't particularly out of place in present day Japan. The colour palette is rather subdued with organic hues enveloping the island backdrop of Shio and most characters adorning pastel clothing. Instead of coming across as being drab, the restraint shown by I.G. allows for not only the natural beauty of the island to shine through but also each of the characters personalities. That said, each and every frame is full of detail and invokes a strong sense of the beauty of Japan. Madman have done a great job of balancing this years festival with the comedic and delightful A Letter to Momo, the brain bending Evangelion 3.0, emotional powerhouse The Garden of Words as well as the action packed 009 re: Cyborg and Ghost in the Shell: Arise. 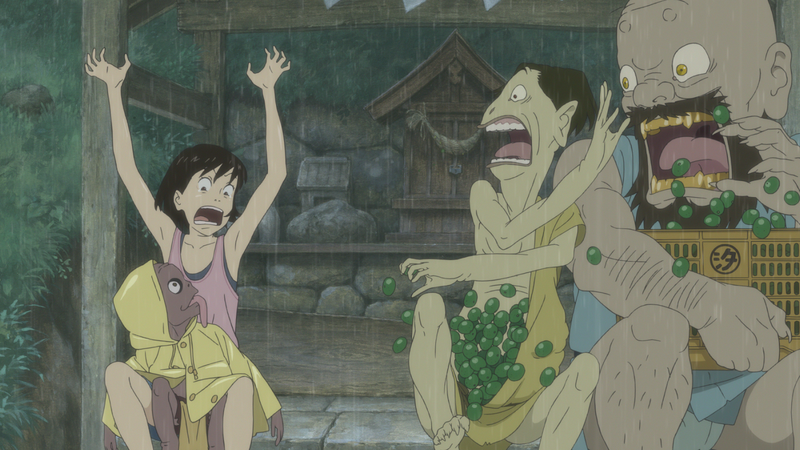 If you're not a massive anime fan but enjoy Ghibli films, this would be your best bet for this years festival. Tickets for this years REEL ANIME festival are on sale now or if you need further convincing, check out the rest of our REEL ANIME 2013 reviews.